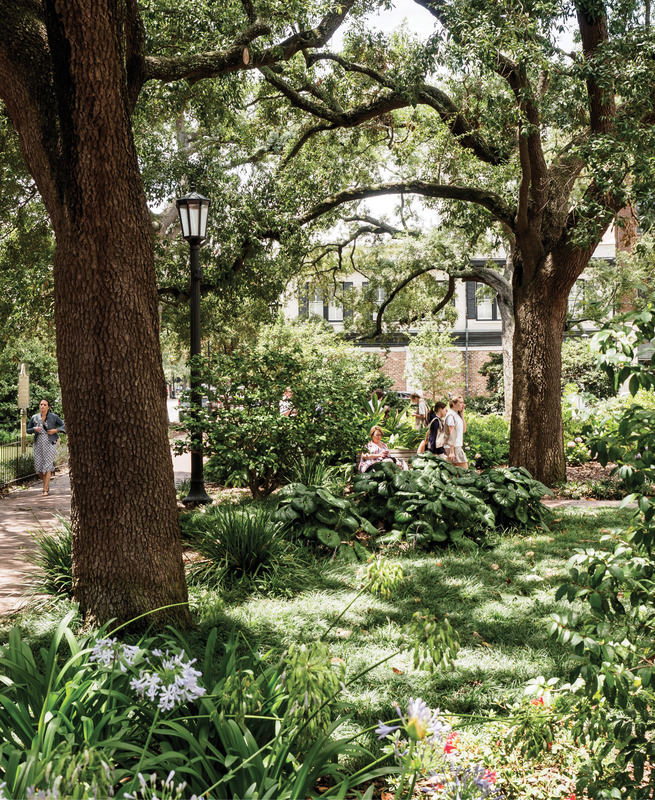 In the most historic parts of Savannah it’s all about the squares, public green spaces with pathways and monuments or fountains—such as this one in Forsyth Park—every couple of blocks downtown. 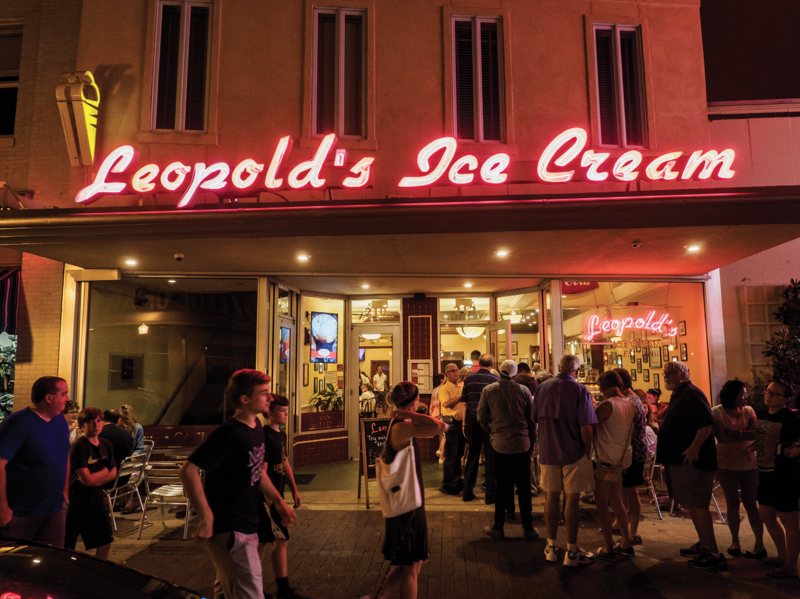 The after-dinner crowd queues up at Leopold’s Ice Cream, which was established 98 years ago and stays open until midnight on weekends. 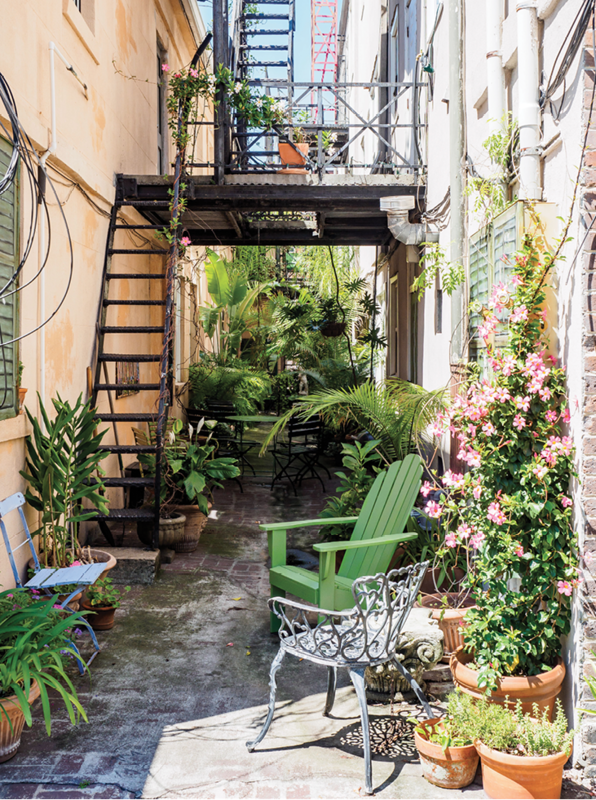 A welcoming patio in the Design District. Shopping at Midge on W. Broughton Street. 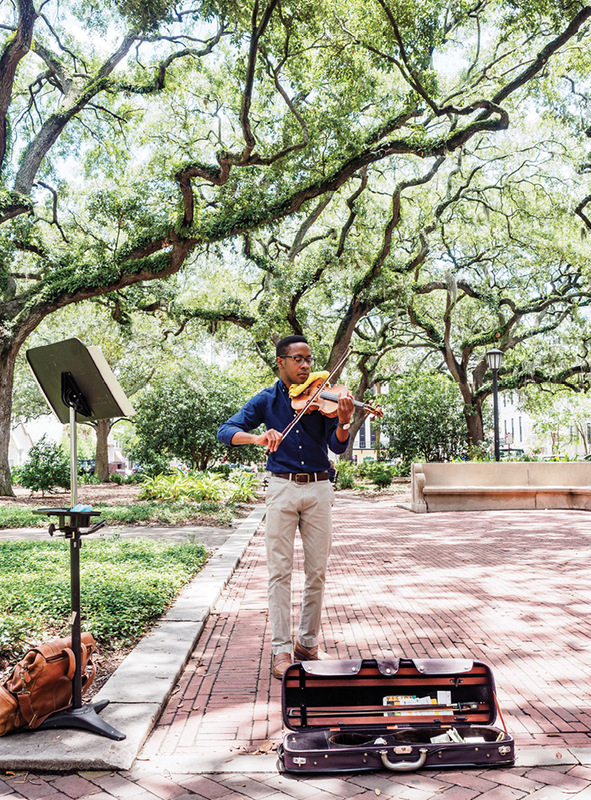 Violinist Michael Houston of Beaufort says he prefers playing in Savannah squares because “people are more relaxed” and listen awhile. 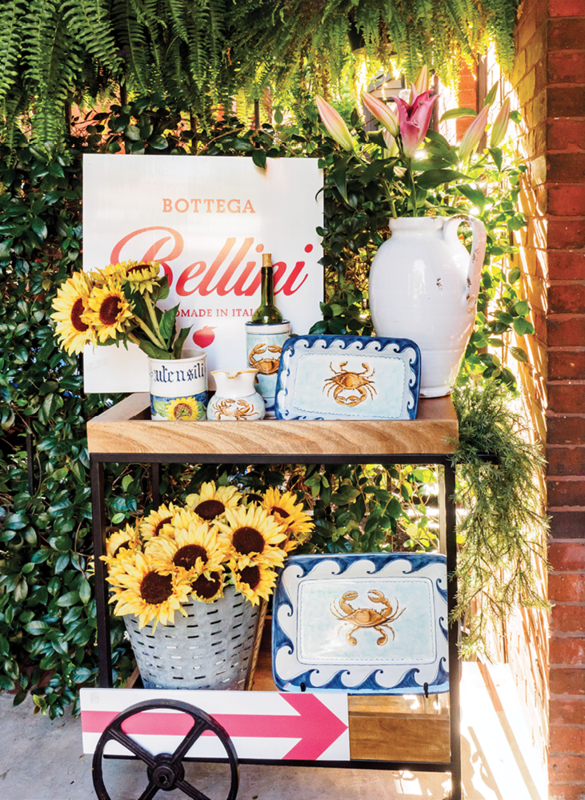 Bottega Bellini’s handmade Italian home goods. 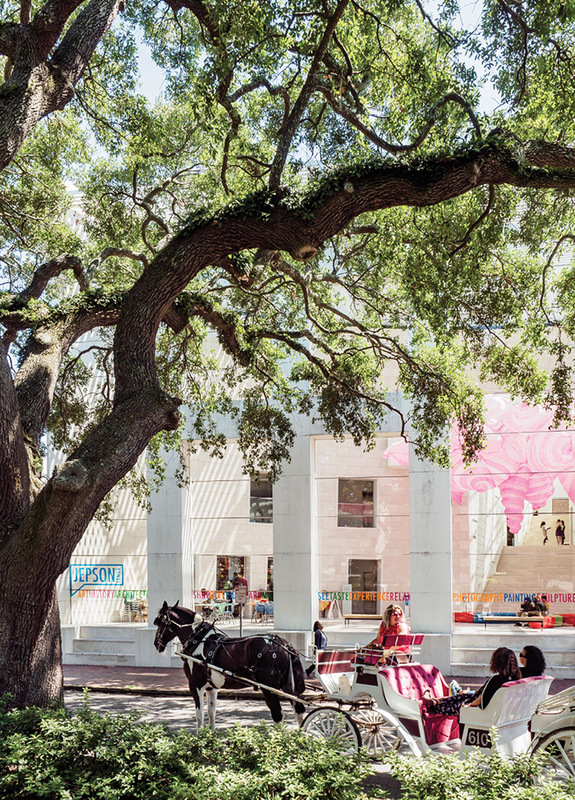 A view of the Telfair Museum’s Jepson Center from Jepson Square. Jewelry on display at ShopSCAD. Sunlight pours into the Jepson Center, one of three Telfair Museum sites in downtown Savannah. 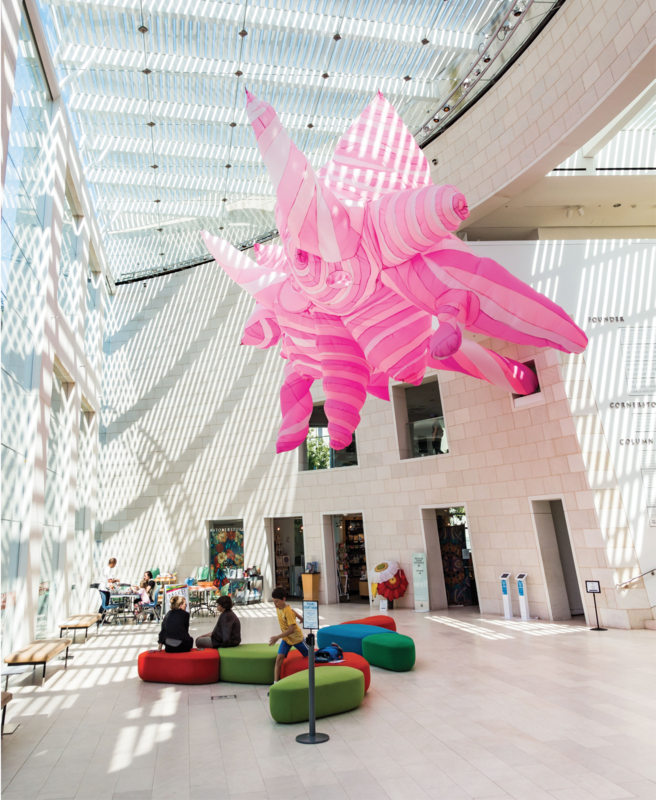 This building, designed by Moshe Safdie and opened in 2006, houses travelling contemporary art exhibits, including sculptures of Auguste Rodin from September to December. Fine art displays fill ShopSCAD, at Bull and Charlton streets downtown. Lofty apartments for overnight and longer stays at The Grant, a former garment factory that opened last year on Broughton Street. 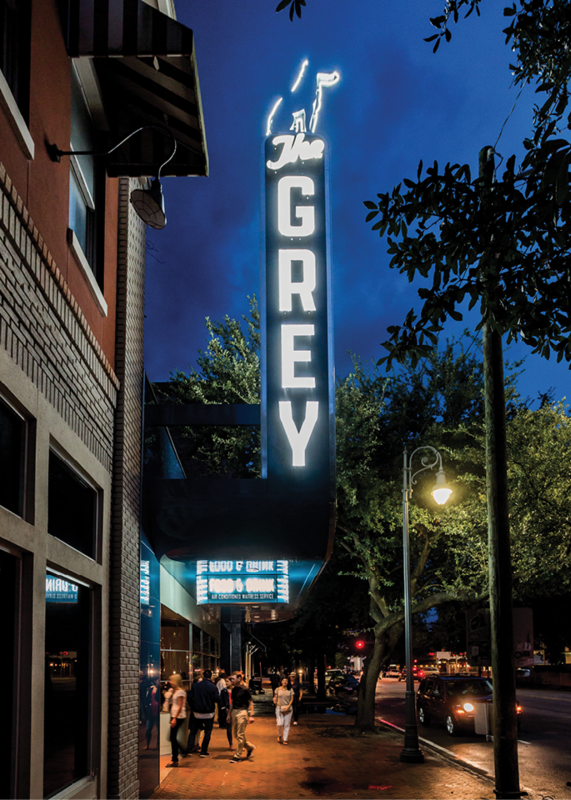 The circa-1938 Art Deco Greyhound bus station was transformed into The Grey. 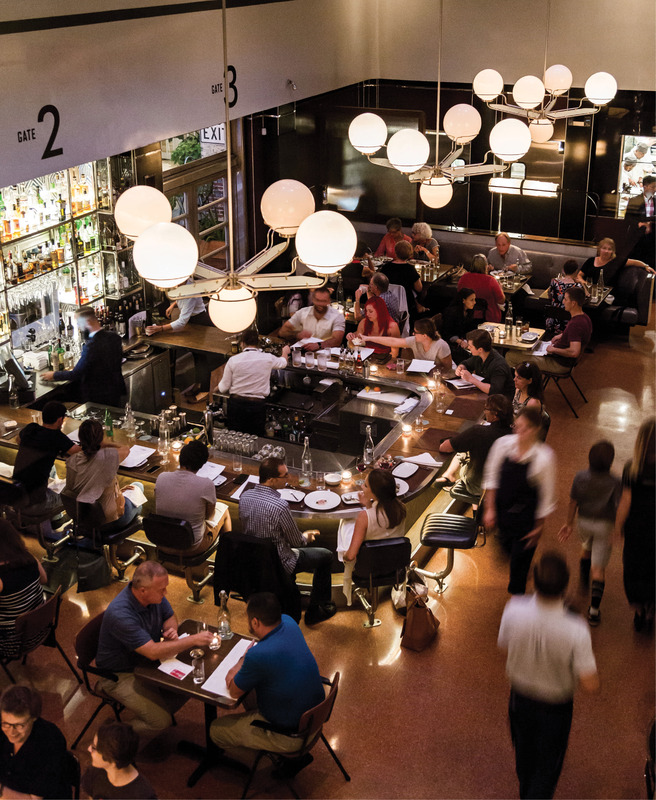 John “Johno” Morisano and chef Mashama Bailey’s bustling restaurant and oyster bar. 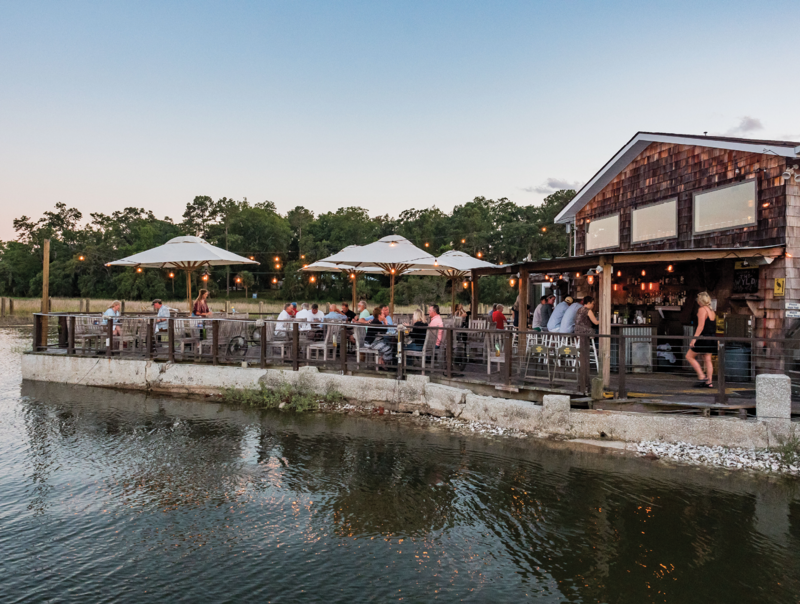 and the rustic waterfront scene at sunset—all at The Wyld. 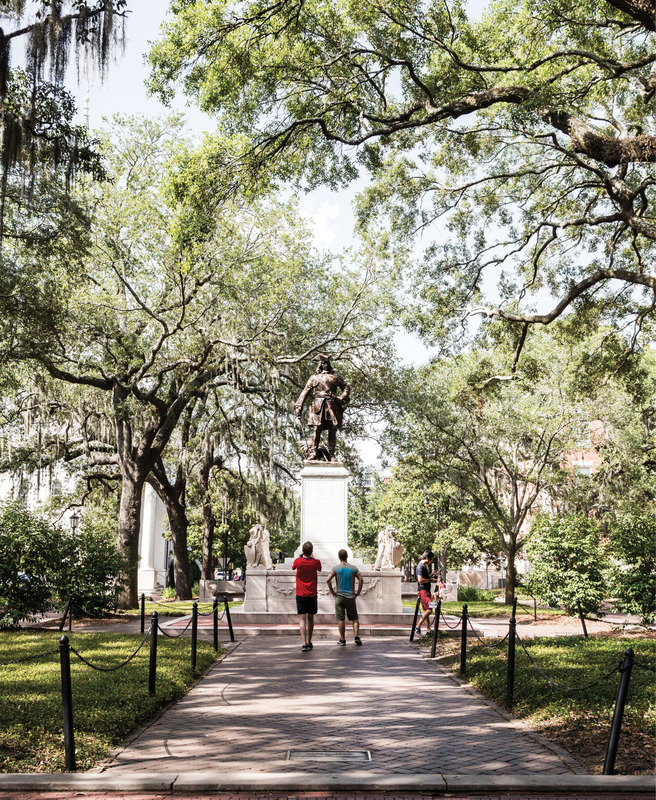 PHOTO: In the most historic parts of Savannah it’s all about the squares, public green spaces with pathways and monuments or fountains—such as this one in Forsyth Park—every couple of blocks downtown. It’s the wine and hors d’oeuvres hour in the double-size parlor of amber-colored velvet and gleaming wood, including a table that seats at least 10. The walls are painted a deep, slate blue, and the sky outside the tall windows is beginning to darken to almost that shade as I scoop more chopped shrimp salad onto a cracker. I look out into Columbus Square and see raindrops. Hmmm, the weather might change the downtown-wandering night I’d imagined. But lucky us, whether it rains or not, we’re in Savannah. Just 100 miles down the coast on the other side of the Savannah River, this is where Georgia starts. It’s where Forrest Gump eats chocolates (or at least a man dressed like him does, sitting in Chippewa Square while people do double-takes, then smile and pose for selfies) and midnights in gardens still bring wild, character-rich stories. I’m ready to go out in the public squares where such things are happening. But first, back to that parlor: We’re staying at the lovely Kehoe House for a couple of nights, and between sips of wine I hear bits of a conversation between guests from England and Austria who realize they’ve been visiting several of the same cities during weeks-long travels in the Southeast. Another couple says they have already extended their stay at Kehoe twice. Oh, how I admire the lengthy holidays of European tourists. 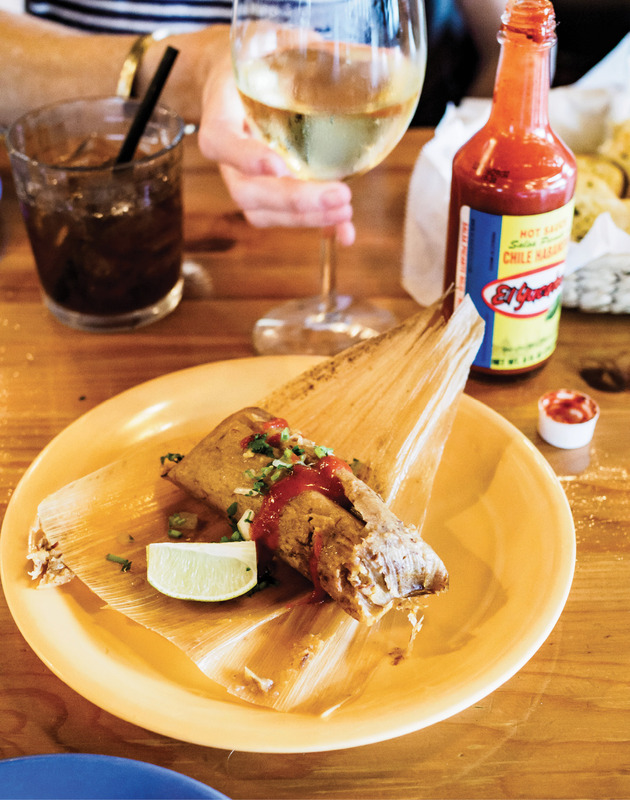 Meanwhile, the rain is getting stronger outside, so we dial in an Uber ride for the one-mile trek to a Cuban restaurant on Martin Luther King Jr. Boulevard. The driver’s route involves a series of turns through the grid layout of streets in the most historic parts of town. It’s a design famously devised by British colonial general James Oglethorpe in 1733 to include 24 squares; and 22 still remain within the compact historic district that’s less than three square miles. And it’s not all houses. Churches, museums, shops, and cafes surround the garden-like squares, side-by-side with residences large and small. The mix is ever-interesting. 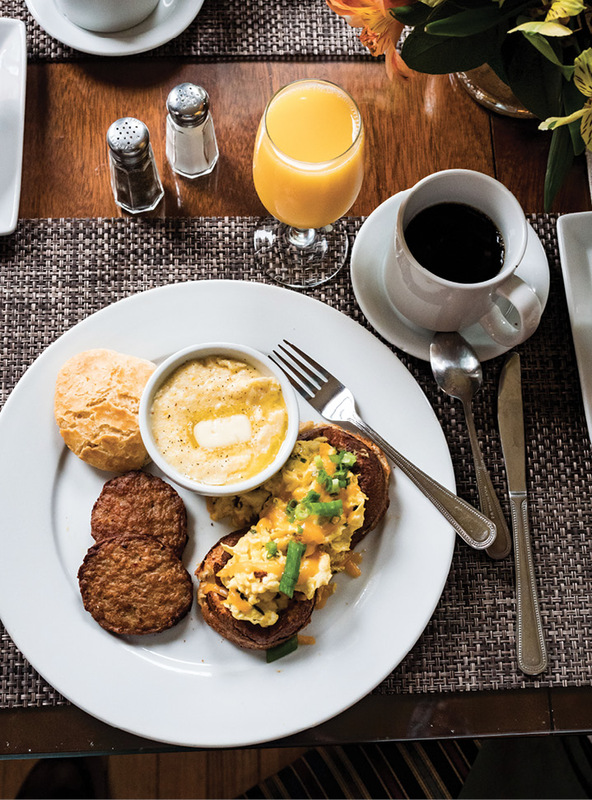 We’ve come to Savannah hoping to check out some new places, but Rancho Alegre is a standby that I know will be easy and comforting on the rainy first night. Having visited this restaurant just outside the historic district once before, I remember soft bread, plantains, and arroz con pollo. And as soon as we’re seated at a table in the room of Spanish tile and pitchers of blooming sunflowers, we put in an order for tamales with habañero sauce and lime, plus glasses of Txakolina, the Spanish (Basque) white wine that’s slightly effervescent and fun to say (it’s pronounced almost like “chocolina”)—a good start. There’s no live music this night, but friends from the Savannah Music Festival that fills the city each spring tell me the shows at Rancho Alegre are always worth checking out. Later, back at the inn, the rain eventually stops falling outside the tall windows, and from our second-floor room I look out into the night at treetops and brick buildings and hear birdsong well after midnight. Overhead, suspended from a ceiling that must be at least 12 feet high, a crystal chandelier catches the streetlight. Besides the birds, all’s quiet. 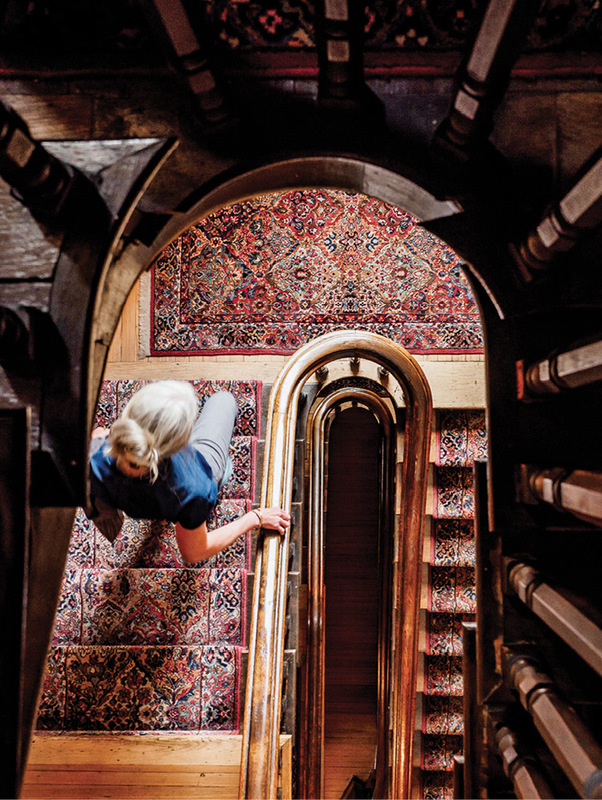 I’d noticed chandeliers throughout the house when, just after check-in, I walked up and down the stairs to each of the landings to explore and see the rooms and hallways and porches. In the darkness now, I think of the Irish immigrant couple who built the house in the 1890s—the Kehoes themselves—and raised their 10 children here. Ever since, there have been ghostly happenings, I’m told, but the evidence shows up in harmless ways. Once the stores are open for the day, we’re on our way to ShopSCAD to see what’s new. This is an essential stop for me—for interest and inspiration. 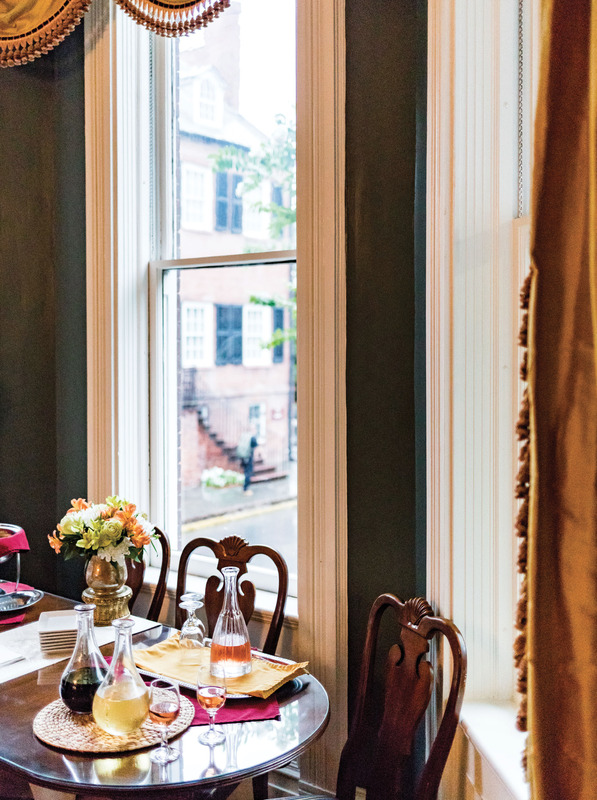 In a brick building that’s curved at the corner at Bull and Charlton streets, with tall arched display windows, all of the wares are made by Savannah College of Art and Design (SCAD) graduates, students, faculty, and staff. 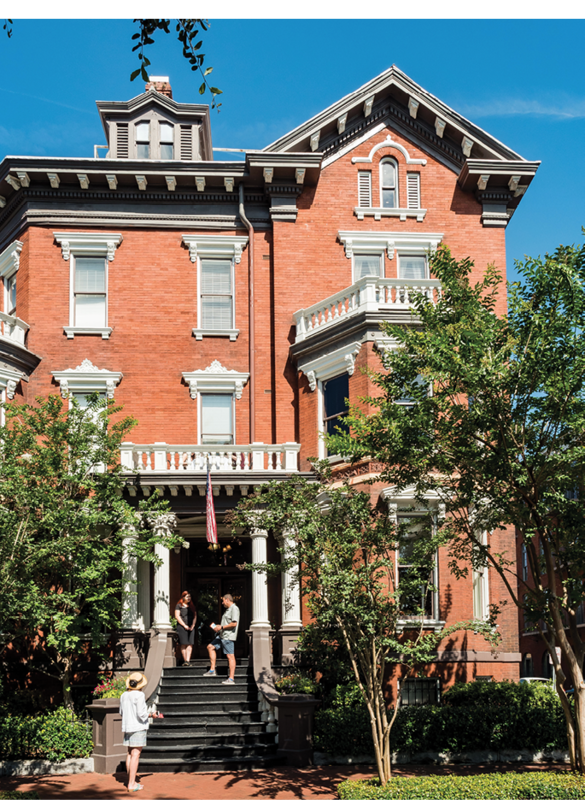 Inside, it feels like the heartbeat of creative Savannah. 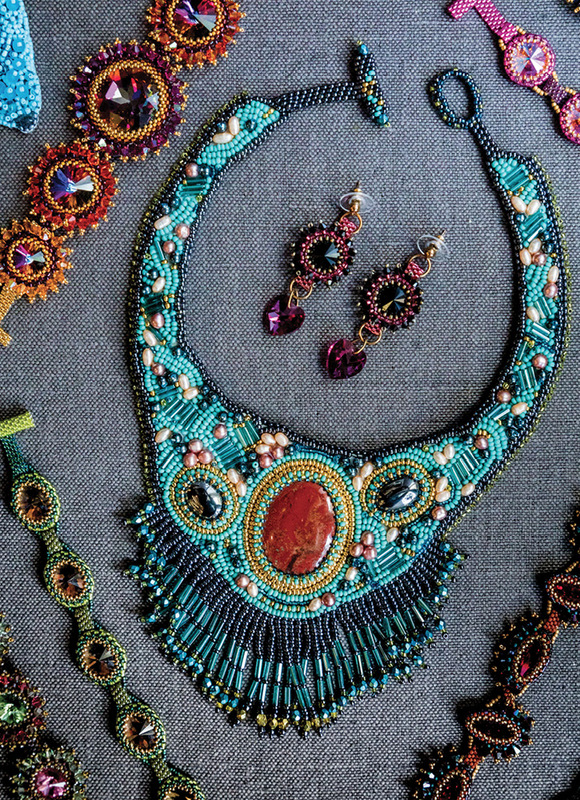 I’m drawn to the cases of jewelry, the leather shoes by graduate Michael Mack, and the vibrant colors and tribal-like designs of silk scarves designed by another grad, Paige Russell. The space itself is worth seeing and has been expanded in the past few years. It feels more like a gallery and gives large-format art more room—paintings are hung one above the other all the way up a tall wall. But then, design has always been part of the story here, from the foresight of Oglethorpe, to the founding of SCAD in 1978, to today. And new urban design improvements are in the offing for 2018. Public comment has gone into a redesign plan focused on Broughton Street (the retail shopping zone) and River Street (overlooking the Savannah River). The idea is to better connect these areas to the historic district, to add trees and other landscaping, and to make downtown more pedestrian- and bicycle-friendly overall. 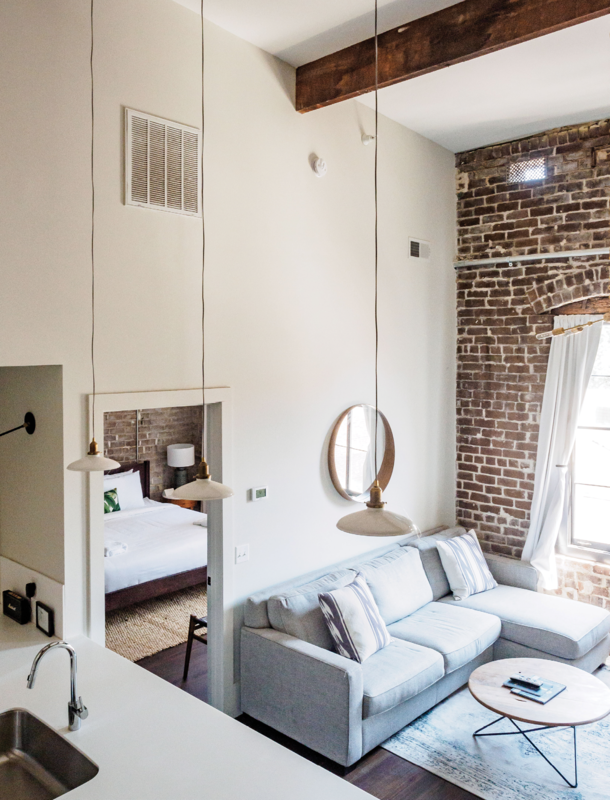 All of that and at least seven new hotel properties are expected to open in Savannah over the next couple of years. It’s outside at The Collins where we happen to see some familiar faces. Brooks Reitz of Leon’s Oyster Shop and Little Jack’s Tavern is in town to meet friends and have dinner at The Grey. Also in the Charleston crowd is Jeremy Graves, who grew up in Savannah, where his family has lived for generations. 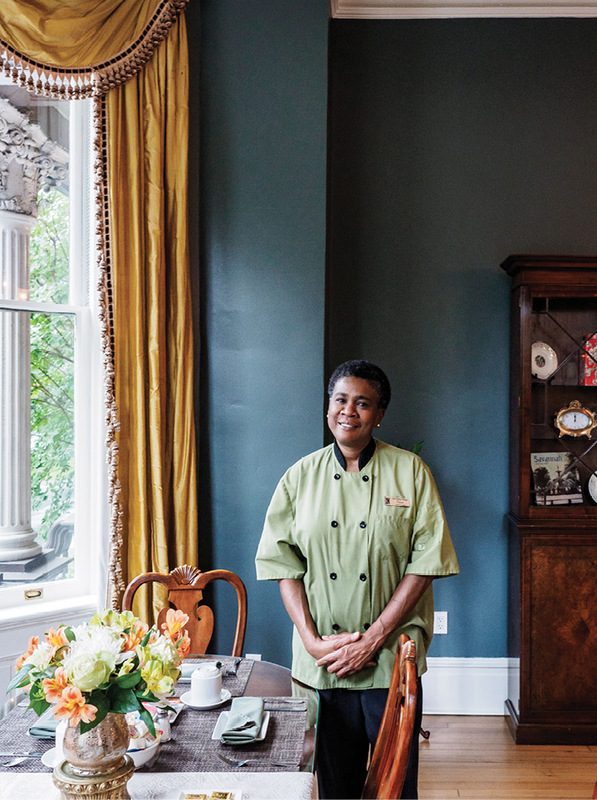 For a while now, Graves has been living in Charleston, but last year he opened The Grant, a modern-concept hotel in the upper floors of what was the W. T. Grant department store on Broughton Street. It’s just a couple minutes’ walk away, so we follow Graves upstairs to see a few rooms in the former garment factory—now outfitted as loft-style apartments with modern furniture and lighting and purposely rough, unfinished concrete walls. The views toward the historic district are terrific from the backside, framing the ornate courthouse cupola in the distance above the rooftops. Next stop is The Grey, but about a block before the plate glass windows of the former Greyhound bus station on Martin Luther King Jr. Boulevard, I notice Midge, an inviting corner dress shop, another charming owner-run business. Margaret Lightsey, an Ole Miss grad who founded the boutique last year, is behind the counter. She explains that she’d worked in fashion for several years and wanted to create a store in the South with high-quality clothing and personal customer service. 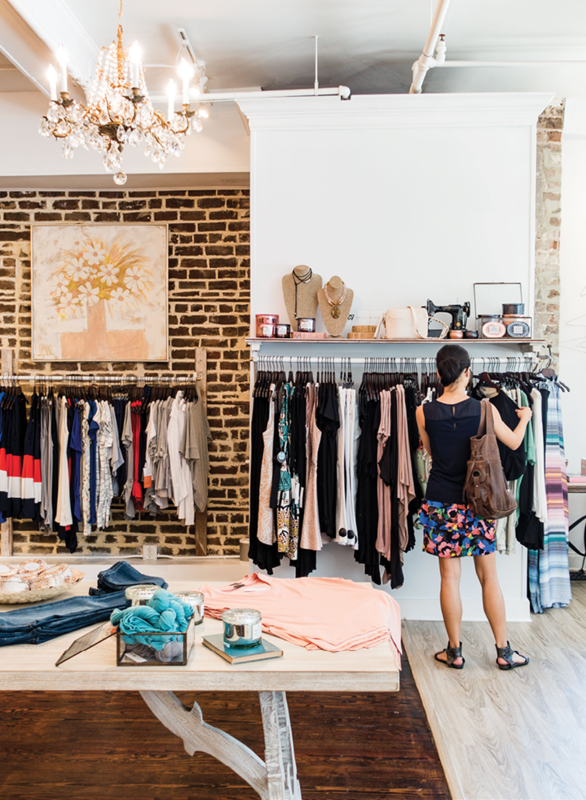 All the jeans, tops, dresses, and jewelry at Midge are made in the USA, and a couple of staff members at the Kehoe House later tell me that this little shop is a hit with Savannah women. We finally make it to The Grey, and it must be the most gorgeous bus station renovation ever. I’m immediately dazzled by the Art Deco elegance of the booths and the curve of the walls. The dining room isn’t open yet for the night’s dinner service, so we sit at the bar up front for a few oysters and end up staying a while, especially to catch the banter of the bartenders and watch them make a frothy Ramos fizz for a man down the way. We decide to do a taste-around of oysters from Massachusetts (I love the Wellfleet) and Washington state, as well as some large Harris Neck varieties from Georgia. 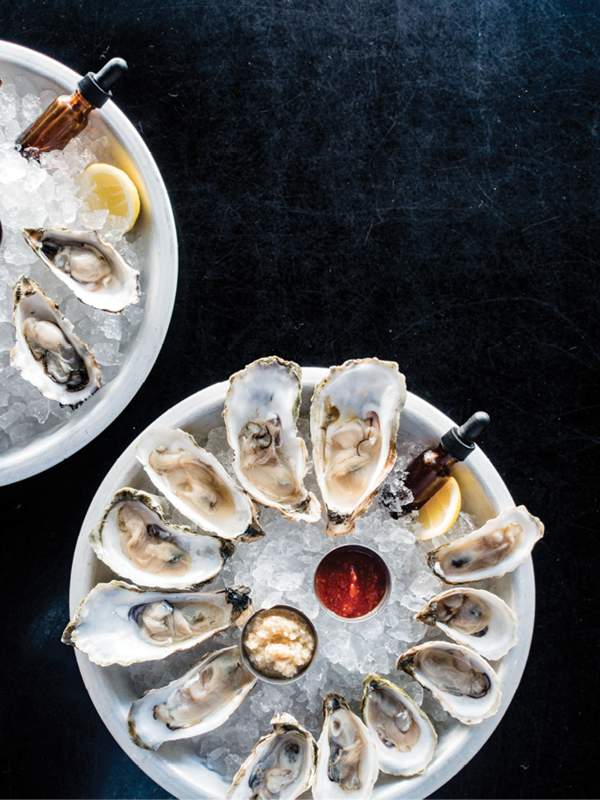 Each is quivery-cold and delicious, and I make use of the droppers full of the house-made mignonette while sipping a Portuguese rosé. The couple from the boat happen to sit next to us and tell us that they’ve just motored over from their country club. All of this feels a bit different from downtown Savannah, but as real as Savannah gets, too. 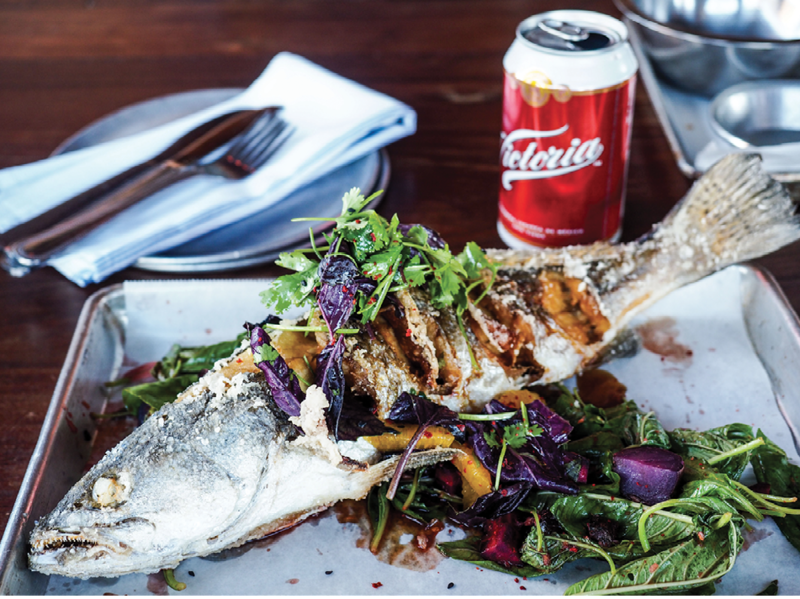 We linger as long as possible, ordering cold cans of Victoria beer and plates to share. The sun gets lower, and our new friends say they need to get home before dark. 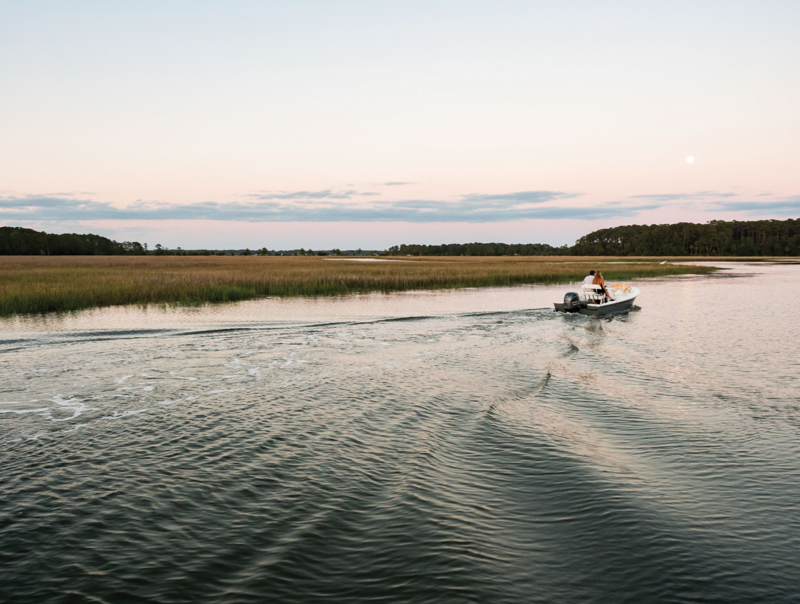 As they cruise away in the soft light, we’re already planning a return visit down the coast to this changing sister city. 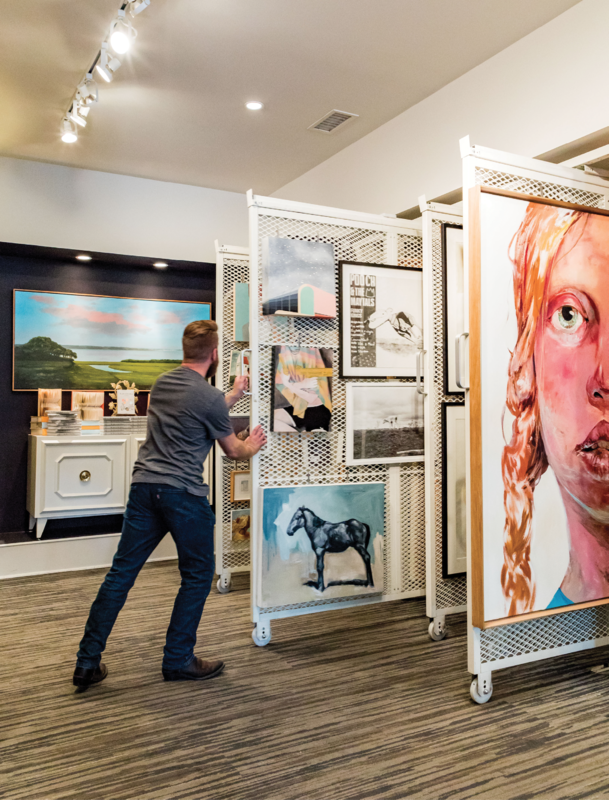 Downtown Design District: Check out what’s new in art and design at local shops and artisan studios off Broughton in the Design District along Whitaker Street and near, between Liberty and Gordon streets. 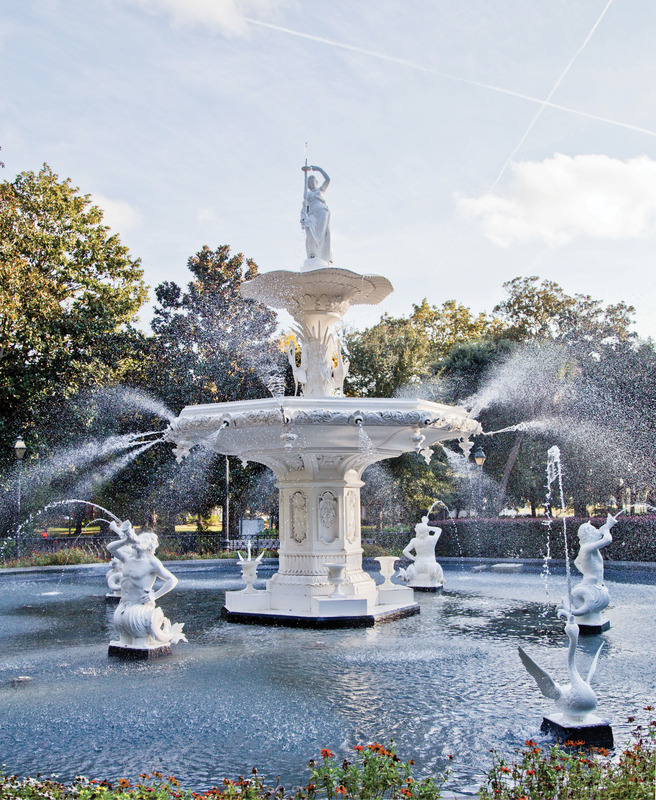 Forsyth Park: Go people watching in Forsyth Park by the fountain (modeled after water features at the Place de la Concorde in Paris), and then follow Bull Street toward Bay Street to circle five squares. Drayton St. & W. Gaston St.